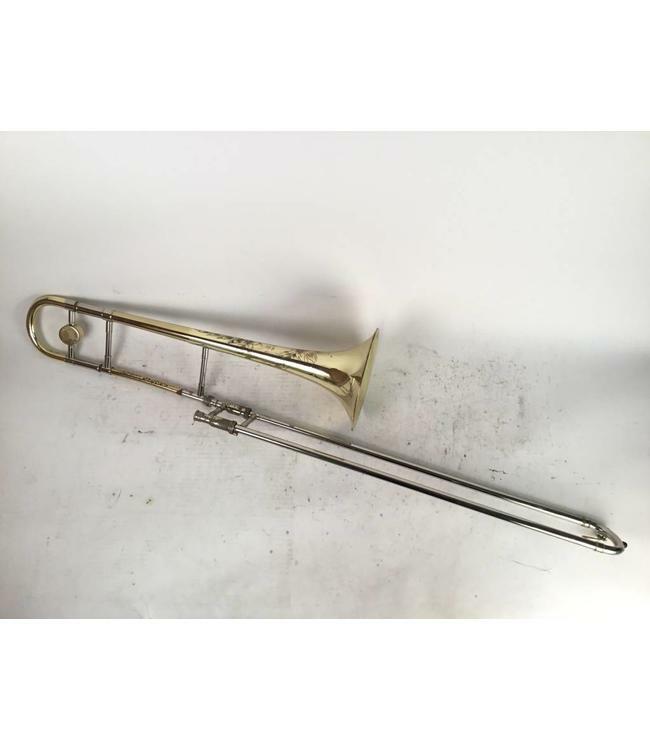 Used Shires Professional Bb Tenor Trombone in lacquer. .500" bore "T00NLW" wide, “2” brass lead pipe, light weight nickel silver hand slide, 7.5" yellow brass bell flare, “1.5” yellow brass tuning slide. Instrument is in good condition apart from dents in main tuning slide, acid bleed around bell bead and lacquer wear throughout. Comes with Eastman case.